Attach your font folders, index your fonts and search for fonts. Pick required font by typing its name in the Quick Search box. Library allows you to preview your fonts as a hierarchy of folders without actual rearranging files in the font storage. Groups allows you to organize fonts into logical sets and install or temporarily activate and deactivate them. Assign keywords, categories, ratings, and captions. Search by tags and by font properties. 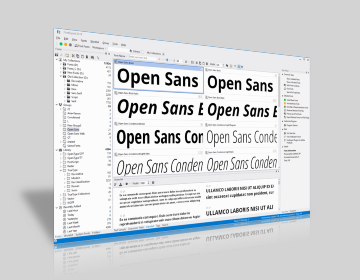 Font manager and viewer for TrueType, OpenType, and Adobe Type 1 fonts. Preview and manage both installed and uninstalled typefaces. Examine your system for font errors. Display the list of installed font faces, customizable font samples, and advanced font properties. Print different types of reports with many printing options. Key features: view and preview TrueType, OpenType, Adobe Type 1, and raster fonts; assign keywords, ratings, categories, and captions to fonts; search for fonts; manage fonts; organize fonts; print fonts; view advanced font properties; examine your system for font errors; Windows shell extensions; Missing Fonts Loader plug-in for Adobe InDesign. Photo manager for digital photography. Assign tags and search for your photos. Organize, edit, print and preview your digital photos. Find images on your computer and remove duplicates. Assign keywords, ratings, and captions to you photos, and then pick the required photo in one second. Edit and automatically enhance your images. 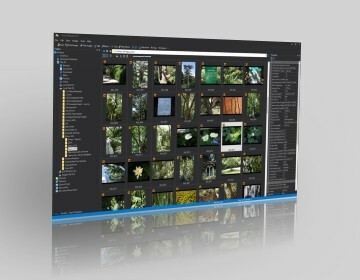 Key Features: browse folders and preview images; print photos; scan or import images; edit images, including adjustments: exposure, recovery, fill light, blacks, levels, white balance, red eye correction; assign keywords, ratings, and categories to images; search in database; search for images on local discs and network drives; search for duplicates; manage photos; EXIF properties; RAW format support; plug-ins.